SELF-EXILED former Cabinet Minister Professor Jonathan Moyo, who turns 62 yesterday, may have had a birthday he would want to quickly forget after Professor Lovemore Madhuku exposed him for stretching facts yet again. Moyo has of late been having a pillar-to-post social media tussle with Econet founder Strive Masiyiwa, dragging many names into the fight, many of whom have been quick to expose Professor Moyo for stretching facts. Moyo was also humiliated this week when lawyer and businessman Tawanda Nyambirai produced evidence that contrary to Moyo's claims that Econet funded the ZANU-PF campaign in 2013, the money paid by Econet was for a legitimate telecoms licence fees, and that the money was paid to a Treasury account which was being supervised by then Finance Minister Tendai Biti (now MDC deputy chairman). Nyambirai provided supporting documents to his long reply. Nyambirai also said "Professor Moyo had a reputation of creating falsehoods for purposes of misleading and deceiving those who are gullible." Former Advisor to the late Prime Minister of Zimbabwe Morgan Tsvangirai, Dr. Alex Magaisa, also dismissed Professor Jonathan Moyo's claim that Econet founder Strive Masiyiwa funded the ZANU-PF election campaign. In the latest incidence, Professor Moyo claimed that Madhuku was part of the tag-team built by Mugabe to travel with him to Mozambique to convince SADC to let Zimbabwe hold elections at a time the MDC was not ready. Madhuku has dismissed that as pure drivel. "I did not travel to Maputo with President Mugabe. Either I travelled or I did not. I have said I did not. I have also said that I have not been to Mozambique in my entire life. Truth is sacred," Professor Lovemore Madhuku has said, forcing Jonathan Moyo to change the meaning of what he said on Thursday. Madhuku added: "Secondly, I never had any conversation with Prof Moyo on any matter whatsoever until he became our law student in Oct 2015. "May I add, for the sake of completeness, that I never had any conversation with Prof. Moyo on any matter whatsoever until he became our law student in Oct 2015. This is sacred truth. My first conversation in my life with Prof Moyo was at law school 2015. "Since 11 March 2007(that fateful day when the late Morgan Tsvangirai and I were targeted for assassination) I have lived with life threatening scars from ZANUPF brutality. I will never sell out my principles to ZANUPF or any other political party. "(Former) President Mugabe ‘ s view of me is well documented and has been permanently recorded in that circulating video where he refers to, and mocks, what he terms the "Madhuku strategy"
"As a matter of fact, I never met President Mugabe during his entire tenure as the leader of our beloved country between 18 April 1980 and 21 November 2017. My only contact with HE Mugabe in his 37 yrs in power was at UZ graduations (my own and those of my students). "The widely circulating falsehood that I was part of ZANUPF delegation to the SADC summit in Maputo in 2013 was started by the Daily News. I sued the paper for defamation. It apologised under the mediation of the VMCZ. I then withdrew the legal suit. "May I correct a false statement of fact from Prof J MOYO. I did not go to Maputo with President Mugabe for the SADC summit in 2013. I have not been to Mozambique in my entire life." 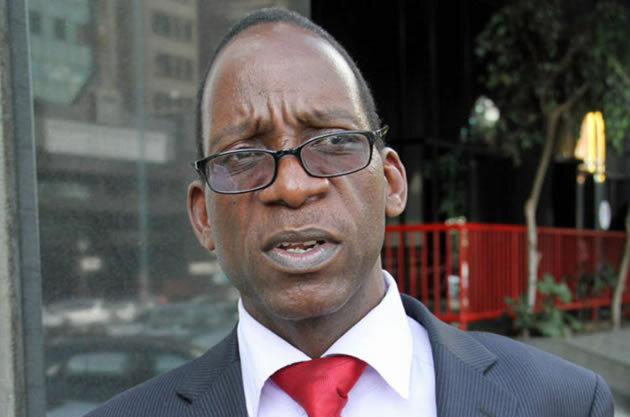 This was after Professor Jonathan Moyo had alleged that in the run-up to the 2013 elections period, Madhuku had travelled with former President Robert Mugabe to the SADC Maputo summit to help convince the regional leaders that conditions were right in Zimbabwe for the holding of elections. At the time, SADC leaders were believed to be advising late MDC leader Morgan Tsvangirai against participating in the elections as conditions were not favourable for holding a poll that would meet the SADC guidelines. Said Moyo: "Buoyed by its Supreme Court strategy to end #Sadc mediation & to set a date for the 2013 election outside GPA negotiations, the group got Prof Lovemore Madhuku to fly with President Mugabe to Maputo for the 15 June 2013 #Sadc Summit to explain the Supreme Court decision! But Madhuku has denied he was part of the trip, saying he has never been to Mozambique al his life. All that I wanted Prof Moyo to be truthful about is that I did not travel to Maputo with President Mugabe. Either I travelled or I did not. I have said I did not. I have also said that I have not been to Mozambique in my entire life. Truth is sacred. Secondly, I never had any conversation with Prof Moyo on any matter whatsoever until he became our law student in Oct 2015.